Inspired by the chapel of Greylight Projects, An independent artist run organization based in Brussels (BE) and in Hoensbroek (NL). The in-situ sound performances of Pak Yan Lau and Caroline Profanter will be adapted to the chapel acoustics. The performances might embrace selected reverberations of concepts from the film The window of dreams that will be projected. A sonic prayer to a place to continue to resonate. Pak Yan music spans different horizons with improvisation and sound as main focus. Taking the extraordinary out of the ordinary and creating micro sound mosaics in a minimal, metallic harmonics, while exploring the vast spectrum of sonar possibilities. She is active in different projects from grooving such as ‘Going’, till abstract structuring. Learned classic piano in conservatory in Antwerpen, today she plays on various instruments and accessories, a prepared piano, etc. She composed music for dance theater, shadow theater and documentary films and collaborated with photographers. Soon will present her Solo ‘Book of Toy’at SMAK, Citadelic concerts, Gent. 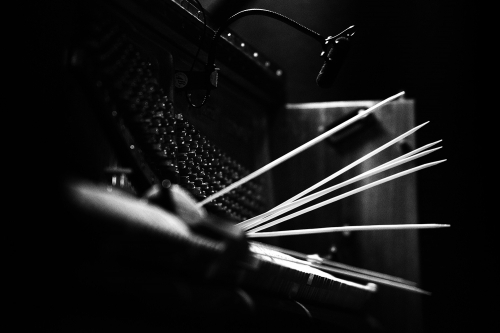 Caroline works in the fields of electro-acoustic music and sound-art as a composer and musician. Her work oscillates between acousmatic composition for multi-channel sound systems, live performance and installation with a focus on imaginary soundscapes and sonic narratives. She collects field recordings, combines them with electronics, and explores the grey zones in between. She creates pieces for instruments and live-electronics based on graphical notation together with music ensembles, and collaborates regularly with artists of other fields, at the crossroad to literature, video and radio art. This film reveled an initiatory journey to the land of concrete music, with foremost pioneers Bernard Parmegiani and Lionel Marchetti. It’s a process of encounters and transmissions between the generations of analog and virtual. The film arouse the possibility of appropriating quotidian voices, ‘dirty’ sound sources by recording them. It’s about a strong dedication to the power of transforming our perception of sounds, simply by the aesthetic experience of listening. The director will be present for a short introduction, and questions-answers in the bar in-between the sets. « Do you feel lucky today?